Celebrate Sinhala and Tamil New Year at the Market. 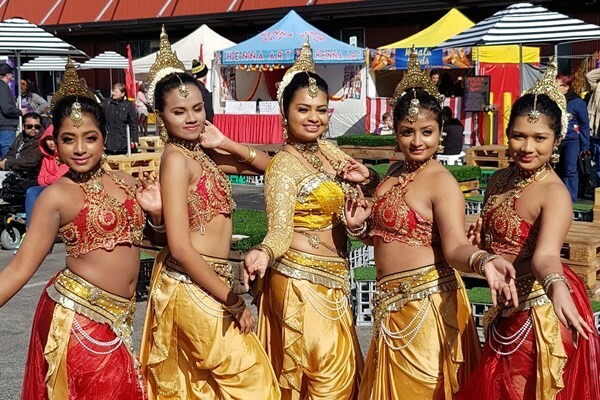 Join in the festivities as Sinhala Buddhists and Tamil Hindus come together for a day filled with cultural performance and workshops, traditional food, live music, cooking demonstrations and colourful decorations. Winner of the 2018 Logie for Most Popular New Talent, Dilruk Jayasinha will host the Sri Lankan Festival this year. Dil is a regular on the comedy scene around Melbourne with a reputation for consistently nailing his shows. The line-up of entertainment includes Sri Lankan favourite Don Sherman, The Singing Chef, presenting cooking with a singing twist, theatre-styled music performance by Consonance Entertainment and cultural dance performances by Tiya Dance Troupe and Shashilaa Dance Troupe. No celebration is complete without mouthwatering food. Taka Taka, Drums Cafe, Raw Sip, Babajis Kitchen and Kulfi Bar will be offering a wide range of Sri Lankan dishes such as kottu roti, deviled chicken, hoppers and more. Gather your family and friends for a New Year’s event like no other.